Latest Toyota cars or let’s say last two generations are the worst designed cars in the whole world (my personal opinion). I got angry every time when I spot some new Toyota model in daily traffic. I can not describe why I got angry when I look this Quasimodo ugliness but I found out that it is Toyota design that makes me angry. I am not specialized in design, but the rules how these cars are designed, influence my calmness in a bad way. 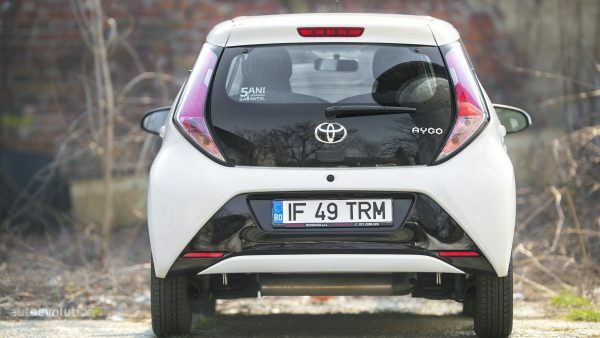 Few days ago, I was behind the latest Aygo and it was terrorizing my view field with its ugliness. I also ask myself “Who are all these people that drive Toyota cars?” Apparently, they sell a lot of cars, but I can not imagine spending time with people that drive Toyota cars (and luckily I don’t have any known person that drive Toyota). I also don’t understand how they didn’t claim bankruptcy. Maybe these people only need something to move them from point A to point B faster then the walk. So, this article does not want to do any harm to Toyota brand, it just reflect my personal opinion. The Avensis from around 2003 was the last nice looking car from Toyota.